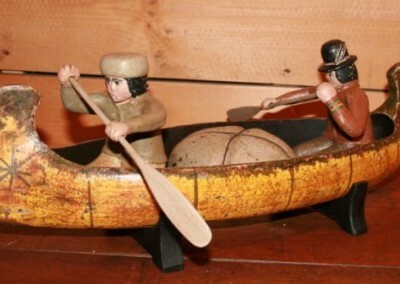 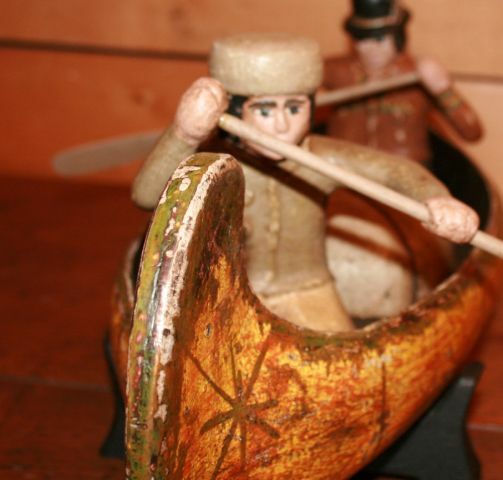 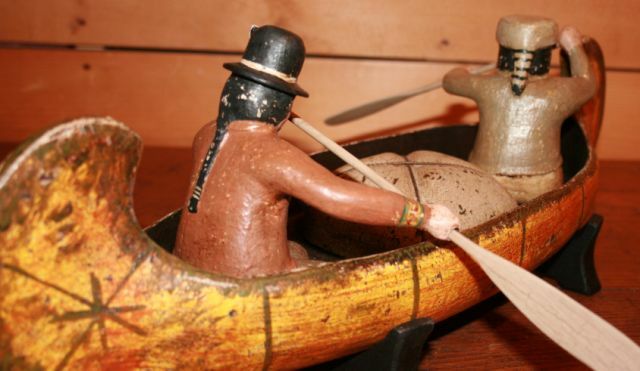 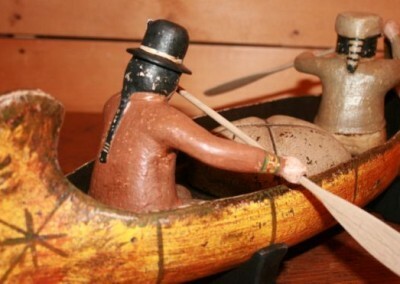 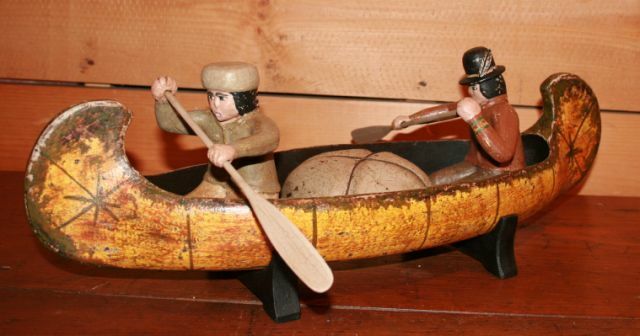 From the founding of the colony of Quebec (1608) with the “coureur de bois” to the 18th century and the Hudson Bay Company and later the North West Company, the return of the traders down the Ottawa and St. Lawrence Rivers with canoes full of furs was a cause for celebration. 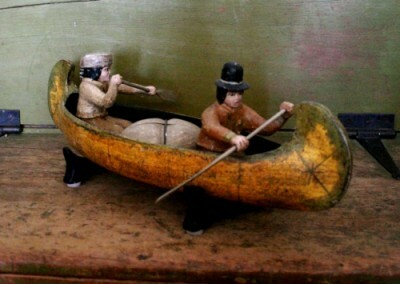 Traders put on their finest clothing in anticipation of “civilization” and lucrative business. 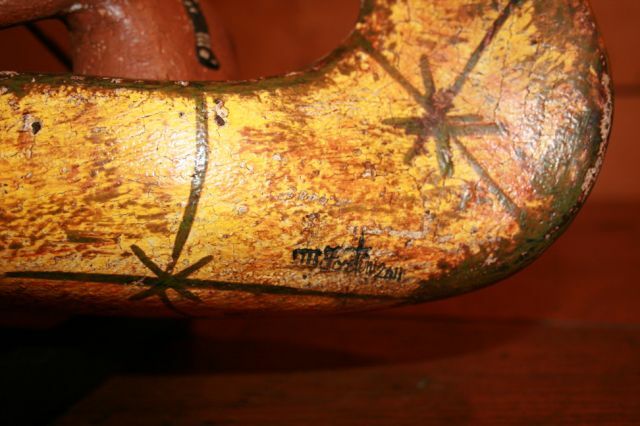 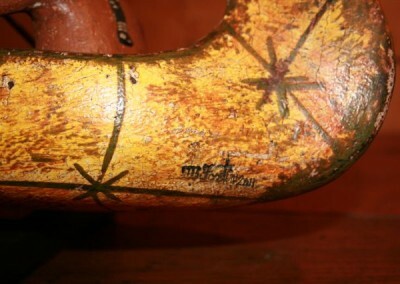 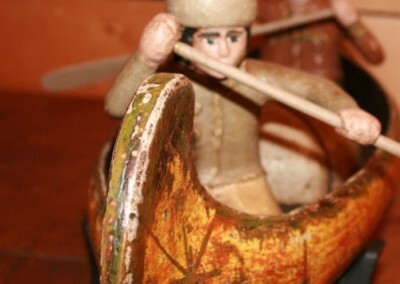 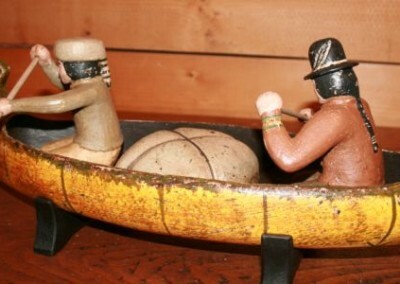 *Note the details of the canoe, the traders and their cargo. 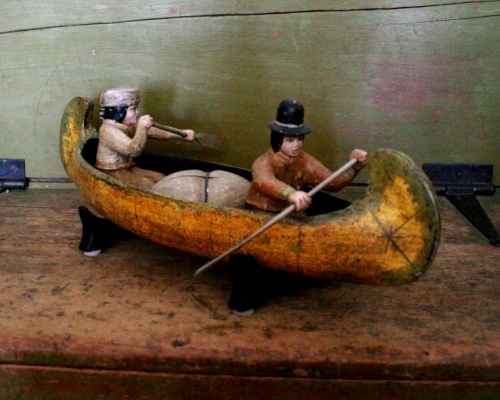 Length – 22” Width – 7” Height – 7 ½”.